As society becomes more dependent upon the technology of computers in this information age, the more vulnerable humans seem to be to cyberthreats. So much time, energy and resources are expended on fighting these cyberthreats that it would be wise to first understand what type(s) of threats have, do or potentially could exist. Understanding threat(s) and the potentiality of attack on one's computer system should be one (and maybe the first) step in an attempt at warding off the damage and danger that could happen to you, the user. However, one must also be cognizant of the fact that some threats are beyond the everyday user's, and even the expert's, ability to prevent. The attacks can happen without notice and without one's knowledge, but knowing how some of these attacks could take place, one maybe able to limit one's chances of being a statistic in the cyberworld. Don't be an uninformed target -- be ready and aware of the danger -- then undertake to implement security systems that maybe able to ward against such treats. The following sections examine four cyberthreats, namely DOS or Denial-of-Service, Worms, Viruses and Trojan Horses. Denial of Service (DOS) occurs on the internet. It is an attack where one is not allowed/denied service from a site where service is expected. The service becomes unavailable and temporarily loses network connectivity. Examples include: Email, or even being denied access into Blackboard. DOS attacks are dangerous because they have the ability to wipe out files and programs in a computer system. It can happen to websites that are used by millions of people daily therefore halting service and inconveniencing them. DOS attacks can be either intentional or accidental. There are different types of DOS attacks which include: viruses, teardrop attacks, and most commonly buffer overflow attacks. The buffer overflow attack is done by sending too much traffic to a particular network address than the programmers who produced its data buffers expected. There are different ways to do this and the results can be theft of information or security loss. These tend to cost the person responsible for the network time and/or money to get the system back to normal. There are many different precautions that can be taken to protect the Computer from Hardware Loss or System Failure. Among them one of the ways is to Door and Computer Equipment Locks: which can be helpful to protect Computer from any hardware theft. These can be avoided by having proper door locking system or alarm system attached to any commercial environment. Biometrics or face recognition access could be one of the secured ways to access Computers to avoid unauthorized access. Another way would be the use of Cable Locks to lock the computer to the table or any other object, so that theft can be avoided in any schools environment and any commercial environment. Other ways to protect on such an activity is by using Security Slots, installing software application on portable computers so the unauthorized access to computer would sound a loud alarm and even use of security protocols to avoid any theft or unauthorized access.Another good way that someone can protect their computer against hardware and data loss is simple and you don't even have to pay for it. It's called simply putting a password on your computer. You can easily set this up buy clicking on the start button of your computer and going to the system settings of your computer. When you get to that screen there will be an option for security settings and you click on it. Then it will give you the option of putting a password on your computer so that nobody can go on it unless they know it. Make sure thought that the password is not easy to guess and your the only one that knows it. This is probably one of the safest and easiest ways to protect your computer. Even if someone is trying to get in you can tell the computer to turn off after a certain amount of missed tries. Social Engineering is the art of gaining access to a building, system, or data by exploiting human interaction opposed to a technical approach such as hacking. Social engineering is a huge concern as it directly relates to personnel training where many companies just focus on having a robust technical security system. Social engineering examples include posing as a professional that is accessing the business for a pizza delivery or pest control, making phone calls posing as someone such as IT personnel at the company requesting your password, or simply by trying to go by unnoticed possibly by faking a hostile phone call as you enter the building. A vulnerability assessment is a preventative measure where a company will try to gain access via social engineering so that policy and training can be adjusted to prevent any successes from the social engineering test. 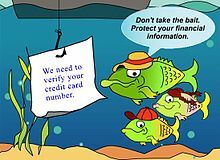 Phishing is when people attempt to retrieve your private information such as bank statements, credit card numbers, or passwords by tricking you into going to their website. The method they use is tricking you by creating a false statement giving you reason to believe they are someone else and need your information. Usually email is the main method that phishers use. Another method however is by making you believe that you are on a trusted website while you are really on a fake web site created by them. This website will look identical to the correct website however it will be slightly different in the URL and the user may never know the difference. Be careful! Spear phishing is an e-mail spoofing fraud attempt that targets a specific organization or individual. Its known this scheme typically appear to come from an organization or a person you know. Spear phishing seeks unauthorized access to your confidential data. It is important to learn to be suspicious of unexpected requests for confidential information, and not send personal information in response to an e-mail. ↑ Hjelmvik, Erik. NETRESEC. 27 03 2011. Print. 26 11 2012. Pharming is a type of attack that uses spoofed domain names to get personal information about you. The person doing the pharming, reroutes all the traffic for one Web site to their spoofed Web site. The hacker does this by hacking into a company's DNS server and changing the IP address for a specific URL. The ending result is that all requests for the URL are now redirected to a different IP address. So, even though you may type in the correct URL, you are still taken to the spoofed site. The sites look virtually the same, so the user doesn't notice a difference and goes on with their business. Once the person enters their username and password, they get an error and they are sent back to the real Web site. Unfortunately, the person doing the pharming now has your user information and can gain access to your account.